Nice christmascards you've made there, Jan-Olav! Merry Christmas to you from the bottom of my heart!! Merry Christmas Jan-Olav and have a good watch! I`ll have a drink for you tonight! Hey - how about that - Korsfjord hits the papers!! 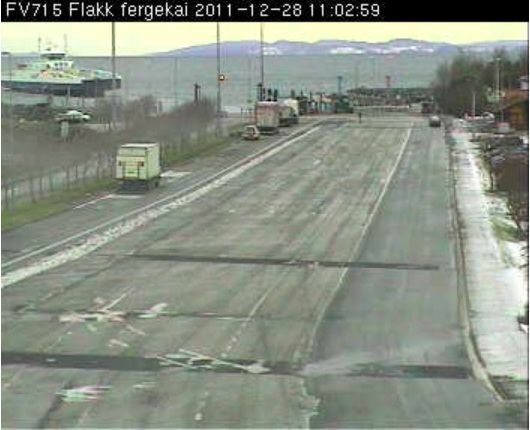 "MF Korsfjord served the stretch Flakk to Rørvik alone this third Christmas day [27th]"
Oh, I just realised Glutra is now at Lade, I wonder if they have to bunker back there instead of at Flakk, or simply can't have two ferries moored at Flakk because of the wind. I had the pleasure of meeting J-O onboard Korsfjord on december 26, and he was doing the day shift. Dec 26 was "calm" in the morning, but during the afternoon and evening the wind increased again. Hi there E …yes that is Captain’s expected schedule as I understood it to be too from what he said (although I only wondered later if back-to-work time on the Sunday might be different from “normal” because it was Christmas Day). 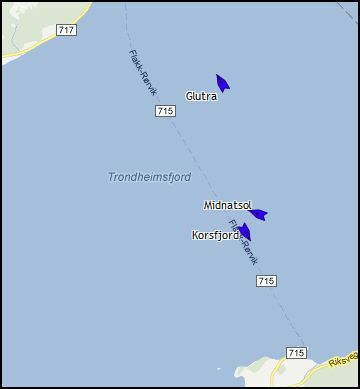 Well right now Korsfjord and Glutra are going “back and forth” Flakk-Rørvik, Hurtigrute Midnatsol has left Trondheim and is approaching them, Kong Harald and Lofoten are at Ila, Trollfjord is at the Hurtigruten Quay, and Tidefjell is near Pirbrua! Couldn’t resist illustrations to go with that last post! …. 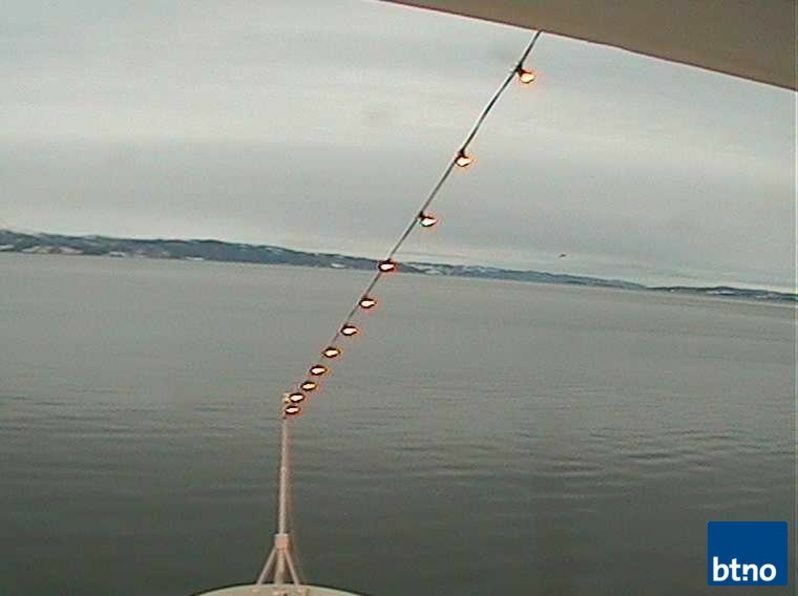 Korsfjord and Glutra can just be seen, but it would bave been so much nicer if Midnatsol’s webcam had updated a bit later! Well I had better switch off all distracting webcams, AIS, weather stuff…etc…because I am supposed to be editing photos and catching up on all that away time I had!!!!! Oh, did I say, there are severe wind warnings again for here in Edinburgh later today! Oh Hi Ostafjells! ...only just noticed your post had popped up when I was taking ages to answer E's while simultaneously messing around with webcams etc.! Love the way you put the word calm in inverted commas!!!! !...everything is relative isn't it! Last edited by Seagull; December 28th, 2011, 12:48. 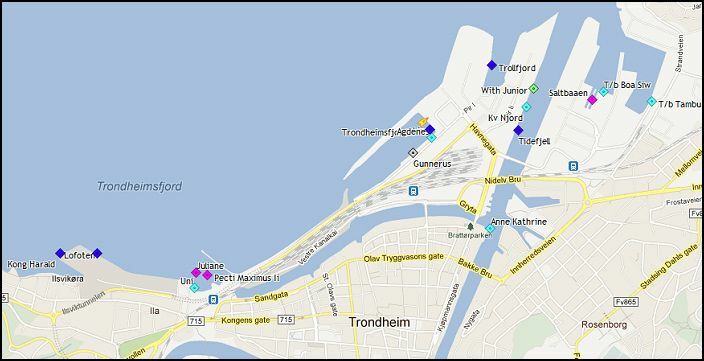 Bad weather for "Korsfjord". Pictures and video shot by the trainee on Korsfjord. Thank you all so very, very, very much for keeping an eye on me the past two stormy weeks! Tuesday, December 27th was a WILD day..... ! 42 meters per second, and Captain Storli kept the route running with Korsfjord all throughout the day, apart from a short 15 minute stop due to extra-strong winds. Yepp..., looks like you've done this hundreds of times. Y'all got it to the fingertips.